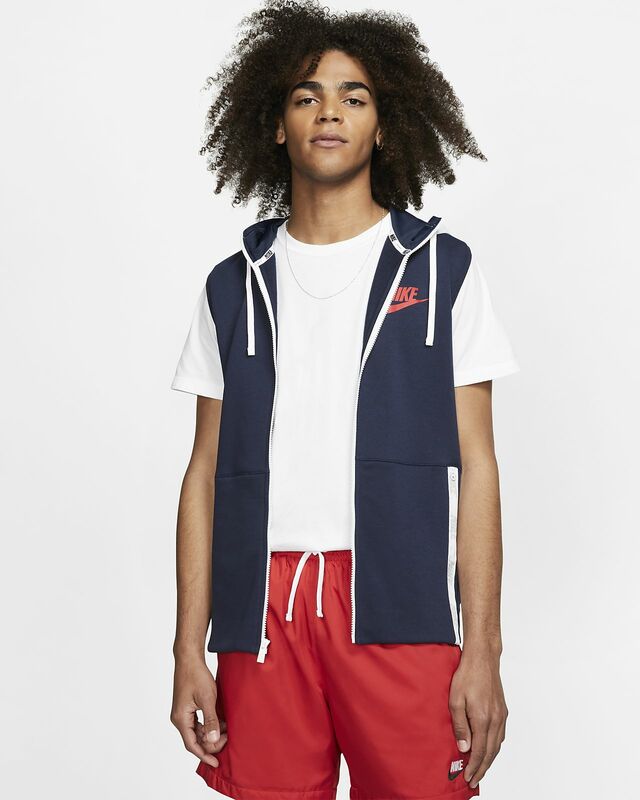 The Nike Sportswear Hoodie takes comfort to a new level by offering a chic layering option that's street-inspired. COSY COMFORT WITH A SLEEVELESS DESIGN. The Nike Sportswear Hoodie takes comfort to a new level by offering a chic layering option that&apos;s street-inspired. Adjustable hood and full-length zip you adjust your coverage. Sleeveless design makes layering easy and comfortable. Fabric: Body: 80% cotton/20% polyester. Panel/hood/hood lining: 100% polyester. Pocket bag: 100% cotton.